Lorna Doom — the bass player of cult Los Angeles punk band Germs — has died. While Doom's cause of death is not yet known, her passing was confirmed by former Germs drummer Don Bolles. Via a Facebook post earlier today, Bolles wrote, "She left this mortal coil today around 1." Doom's age, however, is unclear, though some publications reported she was 61. Teresa Ryan a/k/a Lorna Doom was always a woman of mystery. So much so, that even in her final days as she fought a tough, year-long battle with cancer, very few people even knew she was ill. She kept a very close knit social circle, and those who knew her and loved her always respected her desire for privacy. When she finally lost her struggle with cancer at 12:50 pm yesterday, Wednesday January 16th, it came as a shock to many, as she had chosen to not burden others with what she was going through. 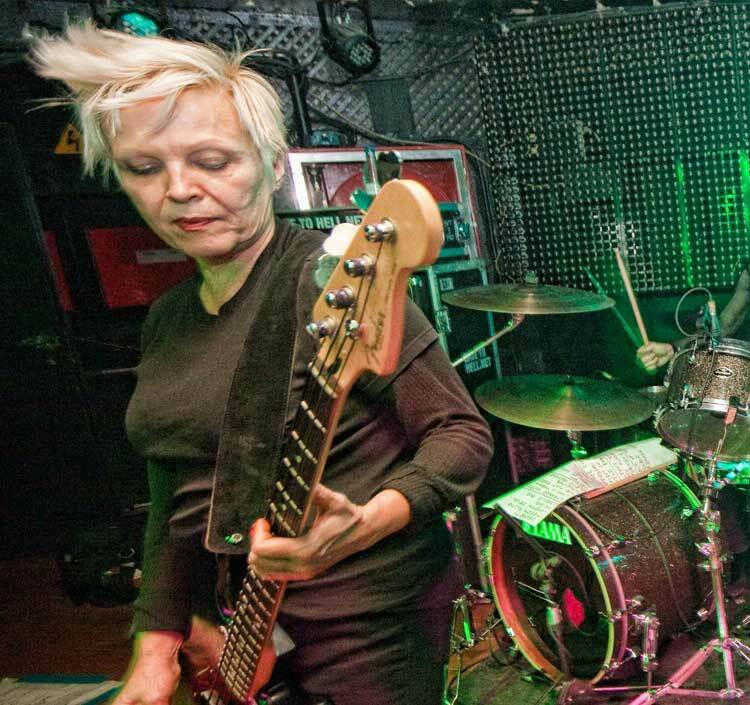 Born Teresa Ryan, Doom joined Germs in the mid-'70s alongside singer Jan Paul Beahm (Darby Crash), guitarist Georg Ruthenberg (Pat Smear later of Nirvana/Foo Fighters) and drummer Belinda Carlisle (who went on to lead the Go-Go's). Following various lineup switches, Bolles eventually took over on drums and Germs released their only full-length, the Joan Jett-produced (GI), in 1979. While Germs only released that one album, they did put out several singles and live recordings, as well as were featured in Penelope Spheeris' classic 1981 punk documentary The Decline of Western Civilization. In their short time, they left a very permanent mark on punk, going on to influence countless bands in their wake. When Darby Crashed by suicide at the age of 22 in 1980, Germs broke up. In 2005, however, Lorna Doom, Pat Smear and Don Bolles were joined onstage by actor Shane West for a Germs reunion show after West was cast to play Crash in the biopic What We Do Is Secret (which was named after a Germs song). Following that initial reunion, Germs performed with their new lineup several times in the mid-2000s, including playing Warped Tours in 2006 and 2008.